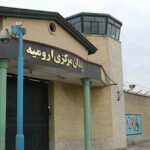 Human Rights Activists News Agency (HRANA) – In an unannounced and atypical search of the political ward of Urmia Central Prison on Tuesday, September 18th, prison guards confiscated prisoners’ food and destroyed some of their property. An informed source told HRANA that the search, which took place in section 12 of the prison, was presided by two prison officials known only as Khanzadeh and Bayramzadeh. The source added that prisoners wanting to replenish their pilfered stores will face much higher prices at the prison shop due to rising inflation in the suffering economy. 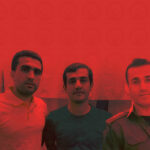 The frisking of prisoners and search of their cells is permissible under Iran National Prison Bureau regulations. 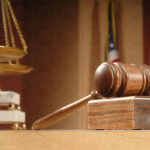 Such regulations, however, are subject to conditions intended to protect prisoner rights. While inspections aim to uncover prohibited items such as weapons and narcotics, several reports indicate that these procedures, particularly in political wards, often result in harassment, insults, and the destruction or confiscation of prisoners’ belongings. 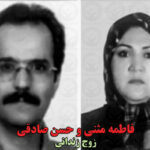 Amouee, a journalist and former political prisoner, writes as a witness to the tightly-controlled visits to the grave sites of Zanyar and Loghman Moradi in Tehran’s Behesht-e Zahra cemetery, where their families were permitted to say final goodbyes on the condition that they refrain from screaming, wailing, or taking any pictures or video. Pursuant to a dubious legal proceeding that drew outrage from human rights organizations across the world, both Moradi cousins, along with their co-defendant Ramin Hossein Panahi, were hanged to death in an undisclosed location in Tehran Province on Saturday. Ramin’s brother Amjad reported to HRANA that the victims’ respective families have been threatened with detention by the Ministry of Intelligence. 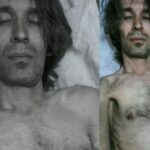 Ramin’s remains will not be handed over to his family for burial, Amjad said, but will instead meet the same fate as that of the Moradis, and of many political prisoners before them: interment by the government in secret location. In an open letter, Atena Daemi and six other civil activists imprisoned at Evin have expressed condolences to the families of the victims. “Loghman’s mother has scratched at her own face so much that she has claw marks across her cheeks. Her daughter is helping her to stand, and they are both wailing. She is engulfed in sorrow. I’m in disbelief that this broken girl is Loghman’s little sister. Across the way, her surviving brother hangs his head. They arrived only this morning from Marivan. The family, along with their attorneys, have been treading from room to room in the prosecutor’s office. As if they still cannot believe the news of Loghman and Zanyar’s execution, they say, ‘we won’t believe it until we see the bodies.’ If lore on such matters again proves true, there will be no viewing of the bodies, nor any information released about their burial site. And yet, hope lingers. At 11 a.m., the family’s attorney Saleh Nikbakht announces that authorities have granted permission for the families to view the bodies in the preparation washroom of the mortuary. I hasten to make my way there. It appears I was faster than everyone else. It is noon, and a few other families are circulating, waiting for their own loved ones’ burials. Sounds of tears and lamentations fill the air. Every few minutes, an intercom pronounces the name of one of the bodies, requesting the family to come forward to identify it. Hours go by; Behesht-e Zahra is now closed, all of its employees gone. The large mortuary washroom is so hollow that the slightest sound I’d make would reverberate across the room. I feel empty. I am sitting in a corner, waiting with Zanyar and Loghman’s former cellmates. For a moment, a thought crosses my mind; and if we’re being strung along again…? Loghman’s mother bursts outside, and playing herself on the ground beneath the burning sun. She is cold and racked with trembling, asking over and over to see her dead son. They summon the immediate family members. We flood through a door. They stop us from advancing further. The windows are cloaked over with banners and cloth. The families have been standing, choked, over the shrouded bodies of Loghman and Zanyar for half of an hour now. Loghman’s mother was finally able to see her son, covered in a burial cloth. But Zanyar’s mother is not here to do the same. His aunt, uncle, and brother go to see him instead.